Posted By:Unknown | At:10:58 AM Be the first to comment! CNN) -- In the chaos of Hurricane Katrina, thousands were left with little protection. And as the flood waters rose, many were left to grab on to each other to survive. In that desperate time, according to court documents, Roland Bourgeois grabbed a shotgun. 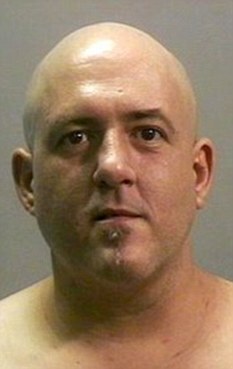 The 47-year-old man pleaded not guilty in a Louisiana federal courtroom Thursday afternoon to charges that he shot at three black men and issued an ominous warning that "anything coming up this street darker than a brown paper bag is getting shot." Magistrate Judge Louis Moore Jr. set bond for Bourgeois at $100,000 bond and said he will require home monitoring if he posts bail. Bourgeois is accused in a five-count indictment with charges that include weapons violations and civil rights violations in connection with the August 2005 incident. According to court documents, the three black men were walking through the Algiers Point neighborhood in New Orleans, Louisiana, to evacuate the area when they were confronted by Bourgeois. Bourgeois, who is white, fired a shotgun at the three men and then later bragged that he "got" one, the indictment said. He retrieved a baseball cap that had fallen from the head of the man that was shot and later showed it to others. The hat "appeared to have blood on it," the indictment said, adding that one of the three men was wounded in the incident. This case is one of several Katrina-related court cases currently being prosecuted. At least seven current and former members of the New Orleans police department have been indicted on charges related to shooting and beatings of people who were fleeing the floods.